ATLANTA – August 15, 2016 – Wes Moss and the team at WesMoss.com are proud to announce today that Erica Sandberg – personal finance expert, TV host, and reporter – has joined WesMoss.com as a contributor. Sandberg will be offering columns to WesMoss.com readers on best practices and strategies for using and managing credit cards. You can catch Sandebrg’s articles on WesMoss.com every Wednesday starting on August 17, 2016. About WesMoss.com – WesMoss.com is the official website of Wes Moss, a financial expert, radio host, and best-selling author. Moss, a CERTIFIED FINANCIAL PLANNER™, has been in the financial industry since 1998 dedicated to helping everyday people understand the confusing world of finance so that they can live well and retire happy. The overarching topics on WesMoss.com are based on the research Moss reveals in his best-seller, You Can Retire Sooner Than You Think. 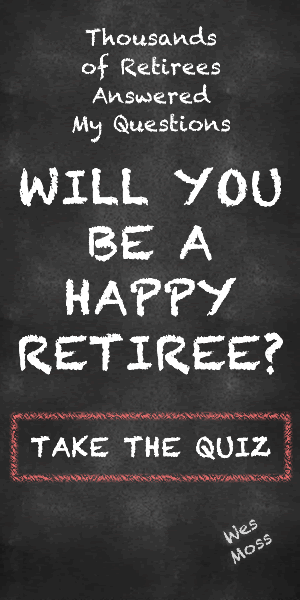 In this research, Moss found that happy retirees focus on five core areas which, interestingly enough, revolve about the purposes for their savings. Moss calls it MASH which stands for MONEY, ADVENTURE, SUCCESS, and HEALTH/HAPPINESS. WesMoss.com offers articles and content meant to help those who want to retire happy, reach their goals and assist those already retired in experiencing their best possible retirement. For more information or to make an appointment with Wes Moss, visit www.WesMoss.com today.